A Family For Every Child's Heart Gallery is designed to bring awareness to the foster care system and children that are in search of permanent homes. Professional photographers volunteer their time to take beautiful pictures of children presently in foster care that are waiting for their forever family. A Family For Every Child's Heart Gallery works closely with child welfare partners to coordinate these photo sessions for adoption recruitment. The Heart Galleries can be seen everywhere: from the grocery store to your church to the car dealership and everywhere in between. The goal of our Heart Gallery is simple-to-open the mind and heart of the viewer to the idea of adoption. A Family For Every Child is a 501(c)non-profit organization. Your entire donation is tax deductible. Recognize photographer in the newsletter and on the website. 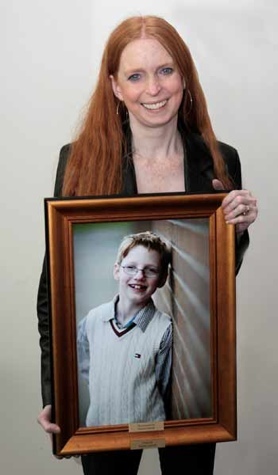 Give photographer an update when the child(ren) they photographed is(are) adopted. Give the photographer all information and support necessary to make this an enjoyable experience for everyone involved. Give the photographer an electronic version of the AFFEC logo that can link to AFFEC website. Photographers will be able to display this on their website so that clients and potential clients can see that you have worked with our organization. If you would like to become a volunteer photographer, please complete the forms listed on our volunteer page, and we will get back to you with a confirmation and follow up process. On the volunteer page, we ask you to read over the following documents as well to make sure you are completely comfortable with all our requests. These documents direct you on picture formats, digital uploading procedures, and "best practices" for getting great photographs of our kids. Download the Photographers Procedure, Tips, Guidelines, & FTP information packet. Please remember that you cannot transport the youth and/or their representatives. You should not communicate with the youth prior to or after the photography session without the ok of their caseworker. You will coordinate your involvement with this youth through an authorized adult. Each child you photograph was brought into custody of the State at no fault of their own. Be respectful of each child and worth of their trust, make them feel special. If you feel the need to pose a child, always ask permission before you touch them. Do not ask the child why they came into foster care or any other personal details of their lives. Feel free to ask them about their interests, their hobbies. Their favorite sports star, etc. These kids will blossom under a heavy dose of praise--let them know when they are doing well--offer encouragement--make the time together fun! YOU ARE NEVER TO BE ALONE WITH ANY OF THE CHILDREN YOU PHOTOGRAPH. THIS IS TO PROTECT YOU AND THEM. PLEASE MAKE SURE THAT A WORKER, FOSTER PARENT OR ADULT CARETAKER IS WITHIN EARSHOT AND EYESIGHT OF YOU AND THE CHILD AT ALL TIMES! Any questions or concerns can be directed to the contact information below. The Heart Gallery is an “art exhibit” of beautiful professional photographs of local and nationwide children who are currently in foster care and waiting to be adopted. Our Heart Gallery displays the personalities of our foster children and siblings that are waiting to find their forever families by photographing them in settings outside of a caseworker’s office. These are the smiles of children you see in your neighborhood playing, children that your child goes to school with, these are children you could see as an addition to your family someday. The Heart Gallery is not just a program, it is the hope that you can provide a forever family for a waiting foster child. It is designed to bring awareness to the foster care system and children that are in search of permanent homes. Professional photographers volunteer their time to take beautiful pictures of children presently in foster care that are waiting for their forever family. A Family For Every Child’s Heart Gallery works closely with child welfare partners to coordinate these photo sessions for adoption recruitment. The children pictured represent the 500,000 children in foster care in the United States, 30,000 of whom are here in the Northwest, waiting for a forever family to love them. Since A Family For Every Child was founded more than 500 foster children have been featured in Heart Galleries, and more than 250 have found their forever families. Photographers in every state across the country donate their time and services to take these beautiful photos. The photos they take capture the personalities of the children and help them on their path to finding forever families. What does it cost to set up a Heart Gallery? Nothing! We take care of all setup. 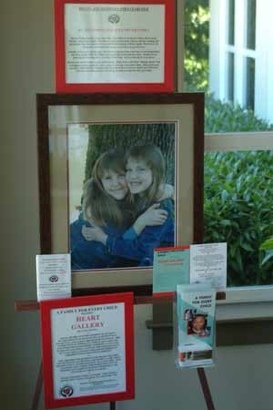 You can sponsor a Heart Gallery if you are interested. It costs $75 for the year. Can any business have a Heart Gallery? Yes! We’ve had venues ranging from doctors’ officers to pizza parlors, and from 1 to 30 frames. Do these children really get adopted? Yes! 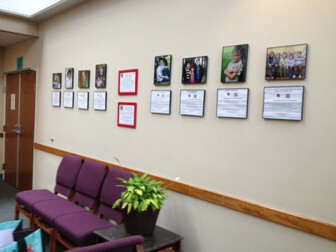 The goal of the Heart Gallery is help children get adopted. Are these actual pictures of the children? Is there any liability as a business owner? 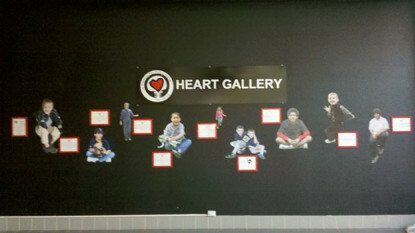 Do Heart Galleries only display local children? No, they feature kids from all over the country. What happens if a frame breaks? Just call us and we’ll come take care of it! How often are displays changed? Every two months a volunteer will come to switch out photos. We do not switch out every photo each time. Who is responsible for the display? A Family for Every Child venue volunteers. But if there are ever any issues, you can call us at 541 343 2856. Recruit social workers to help you choose children for the project. Not all children are comfortable participating in the Heart Gallery. Recognize team members’ best skills. If one member is good at networking and another at editing, assign tasks accordingly. Reach out for help from within the local community. Recommend that foster parents and social workers will help prepare children for, and support them during, the project. Request the input of others; it makes them feel more involved and invested, and may help you do your job better. Ask others for contacts and referrals. Rally those involved! Keep everyone informed on the progress and outcome of the event. Locate your exhibit venue by promoting the public relations benefits of the exhibit (the venue is named in ads and media coverage). The venue does not have to be a gallery. All you need is ample and attractive space, easy access, and plenty of parking. Lead your request with your most professional or captivating portraits. They inspire people to donate and can be scanned for use in press releases, print ads, and other materials. Link with prospective donors via a faxed request, phone call, or personal visit and be specific about what you’re requesting. Laud sponsors in writing and at the event. Take time to locate a media guide that lists your state’s press contacts. Tailor your request to each media source. A good “hook” is an interview with someone who has/was adopted, or is otherwise sympathetic to child welfare issues. Establish contact early so you have time to build interest. Target several children who can serve as “spokeskids.” They should be able to interact with reporters and photojournalists and speak briefly at the event. Think national and local. One can often lead to the other. Tell radio stations and television stations about the event. Some may give you free time to talk, especially if you purchase some advertising spots and show producers the portraits’ artistic and human appeal. Go through proper channels. Call the Screen Actors Guild at 323-954-1600 for contact information (agents, managers, etc.). Celebrities who live in the area near the event are most likely to attend. Gather celebrities who have a reputation for being involved with nonprofit organizations or who have a connection with children’s issues, especially adoption or foster care. Generate a request letter to tell the contact about your organization, the purpose of the event, and exactly what will be asked of the celebrity. Fax the letter to the celebrity contact. Grant the celebrity permission to speak or perform. Plan for adequate space and refreshments to accommodate your expected audience. Although including a celebrity involves more work, it can increase your event’s visibility in the eyes of the public and the press. If you have further questions about starting a Heart Gallery please see contacts listed from other states. 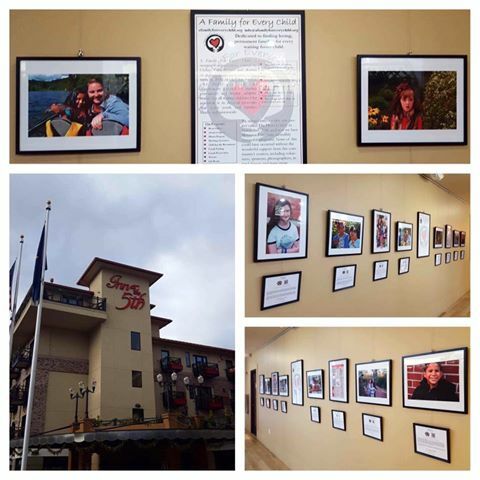 While out doing your shopping stop by the food court and take a look at our Heart Gallery! Just click the QR code located on each child’s biography to learn more about each child’s personality and interests. You may be the perfect match! Knowing how important a good photo is to recruitment, AFFEC is now offering to take professional photos for child bulletins. We are committed to a fast photography process and promise to begin coordinating the photo session upon receiving the photo request. We have a large list of Oregon photographers but have increased our photography volunteers to spread throughout each state. We provide this service nationally. As soon as we receive the .jpg images from the photographer we will email them to the caseworker for their use and then will continue with the recruitment process as the referral form specifies. All that is needed is the completed referral form. 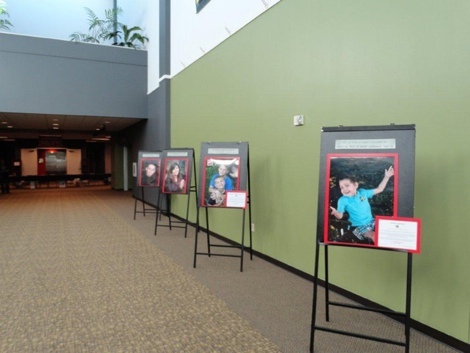 The Heart Gallery exhibits portraits to raise awareness of the needs of waiting children. They wait and hope for their own adoptive family to love and protect them. Professional photographers volunteer to take compelling portraits showcased in the Heart Galleries. 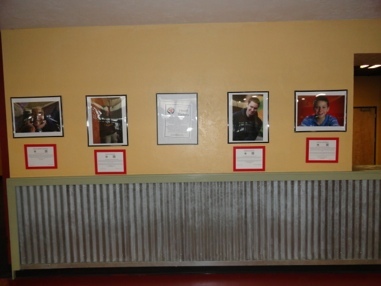 These beautifully framed and matted portraits then get displayed along with the children’s biographies in various venues. On average, we receive over 50 inquiries per week about these children. DHS foster/adoption orientation class size, adoption inquiries, and general applicants to DHS have more than doubled since the inception of the Heart Gallery. Does your child understand that you are searching for their forever family? Discuss the purpose of the Heart Gallery. Show the child examples of other children's photographs and bios. Talk about what the child likes and dislikes about various recruitment methods. Are there specific areas your child does not want to see their photos? What information do you need to provide when referring a child to the Heart Gallery? 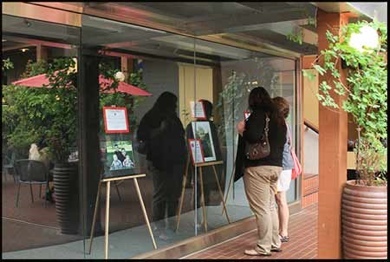 Indicate any specific locations your child should not be featured (We host 50 venues throughout Oregon and Washington. If your child is located in Lane County and is not open to seeing their photos you can request they only be featured outside of Lane County) Provide the contact information in order to coordinate photos of the child. If you are a case worker wanting to exhibit a professional photo of a child in a heart gallery please fill out our referral form. We are offering an opportunity to be a part of the Heart Gallery of Lane County in a simple way. All we are asking is your willingness to find some space for us. We are designing and providing the set-up for custom displays according to each child’s interests in hope that your customers will consider adopting these children into their lives. Displays can include pictures, DVD loops, items representing the child’s interests and informational materials. They can range from a single easel to an entire storefront window display. Do you have room in your store and your heart to give a child a chance? Take on a special commitment to advocate for one particular child, sibling group or small group of children with similar interests or ages. You don’t have to make a financial commitment, just an emotional commitment to show this child in a positive light in your place of business. We ask for a commitment of a month per display. Valley River Center did a store front with 2 boys that loved sports, we surrounded them with sports gear and signage. Dr. David Matthews has a single easel with a portrait, signage and brochures. Gateway Mall highlighted a group of 4 girls, all in the 9-12 age group, in a kiosk. We then surrounded them with pink and yellow toys. We will come and speak to your group or business and return for training of dedicated employees that would like to make a difference. Teach a skill to our mentor youth, or a class of them. Sponsor a child’s portrait for a year. You will receive notices as your child is placed and another enters your sponsored frame. We are always in need of in-kind donations for our venues and opening. Give your employees time to be a mentor! Join our special recruitment effort and be a business advocate for a waiting child. Your business takes on a special commitment to advocate for one particular child. 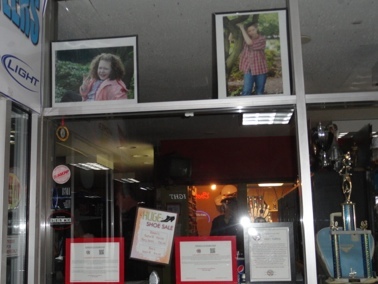 Display a portrait of one child in your business or store window we will provide materials that allow you to direct people as to where they can get more information about adopting this child. How will my business be recognized? A very special thank you to our 2018 Heart Gallery Sponsor! What is the Heart Gallery? Our Heart Gallery displays the personalities of our foster children and siblings that are waiting to find their forever families by photographing them in settings outside of a caseworker’s office. These are the smiles of children you see in your neighborhood playing, children that your child goes to school with, these are children you could see as an addition to your family someday. The Heart Gallery is not just a program, it is the hope that you can provide a forever family for a waiting foster child. Who are the Heart Gallery Children? The children pictured represent the 400,000 children in foster care in the United States, 30,000 of whom are here in the Northwest, waiting for a forever family to love them. Since A Family For Every Child was founded more than 500 foster children have been featured in Heart Galleries, and more than 250 have found their forever families. How does the Heart Gallery work? 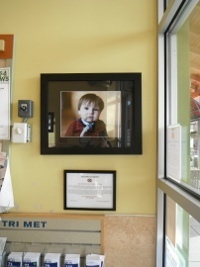 The Heart Gallery is a traveling “art exhibit” of beautiful professional photographs of local and nationwide children who are currently in foster care and waiting to be adopted. Our mission is to find a safe permanent loving home for every waiting foster child. The kids are really three of the sweetest children I have ever encountered. Considering the circumstances, I just didn’t know what to expect. Little J*** ran up and hugged me around my legs when we walked in. That was just about too much for me a softy at heart but tries not to show it. Patient, courteous, and sweet to each other was not what I expected. The foster parents really cared for the kids. Again, my pre-conception was that they might be just doing it to make a little money (who doesn’t need that), but I was really impressed with how they loved the kids. Those three are lucky to have a safety net as good as that.